Search your deck for a basic Energy card, show it to your opponent, and put it into your hand. Shuffle your deck afterward. Flip a coin. 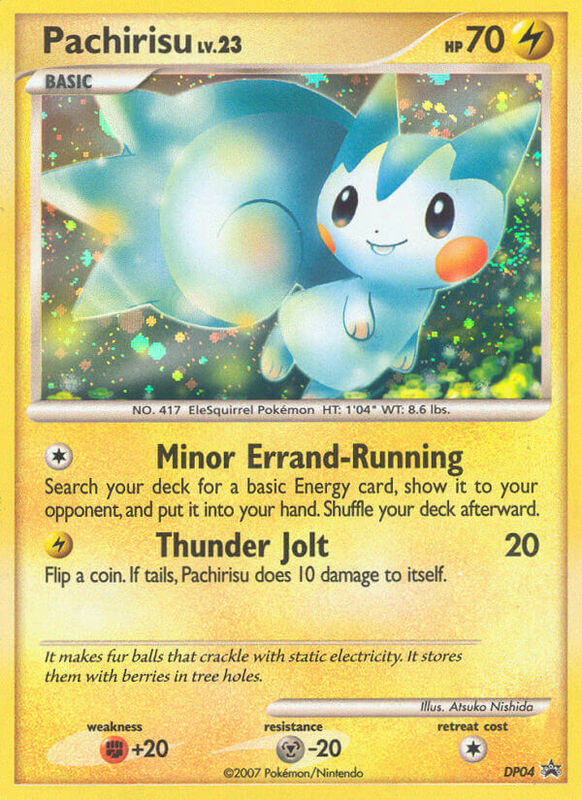 If tails, Pachirisu does 10 damage to itself. It makes fur balls that crackle with static electricity. It stores them with berries in tree holes.